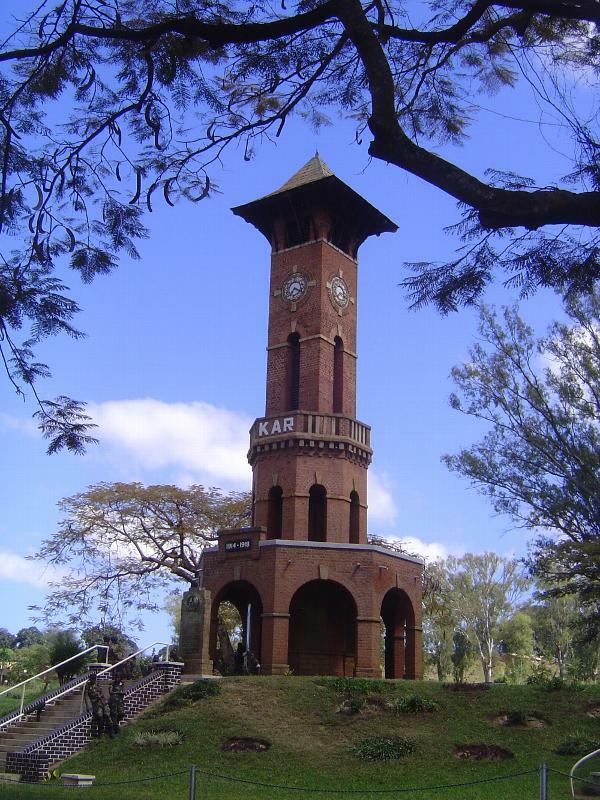 Zomba, the capital of Nyasaland through the period of British rule, must be one of the least known African capitals. 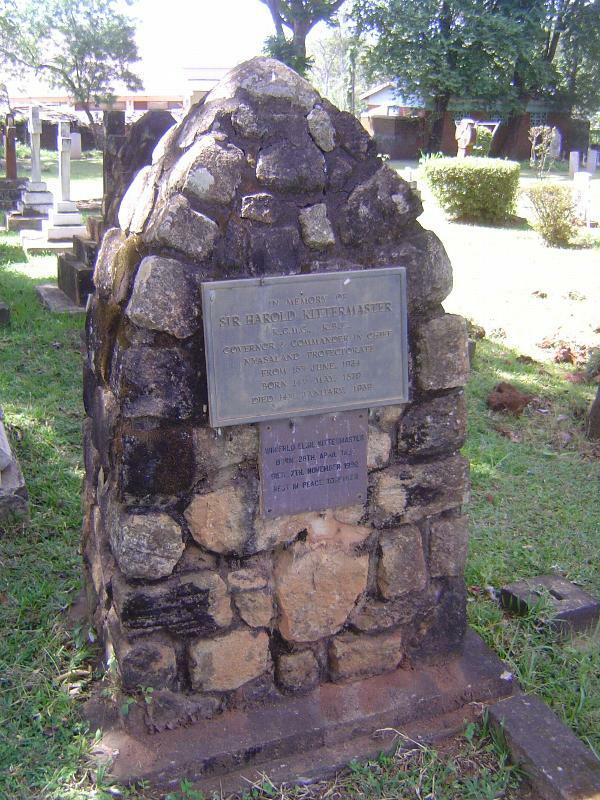 John Gunther, the indefatigable postwar traveler-reporter, wrote that Zomba "is seldom visited. Nobody lives here but government servants" (Inside Africa, 1955, p. 639). 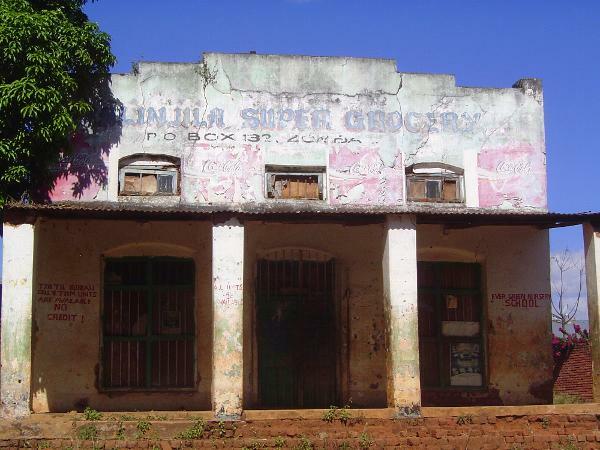 Those servants must have been the reason one unnamed chief secretary called the place "an official zoo" (B. Pachai, "The Story of Malawi's Capitals: Old and New: 1891-1969, in The Society of Malawi Journal, 24:1, 1971, p. 48). 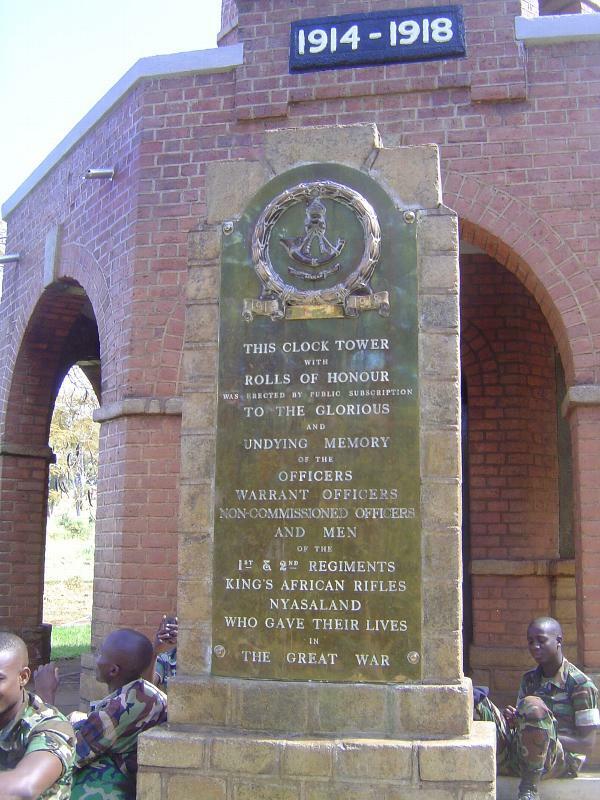 A more recent historian of Malawi calls the place simply "one of the smallest and most beautiful colonial capitals in Africa" (John McCracken, A History of Malawi, 2012, p. 284). Perhaps that chief secretary was Reginald Maugham. 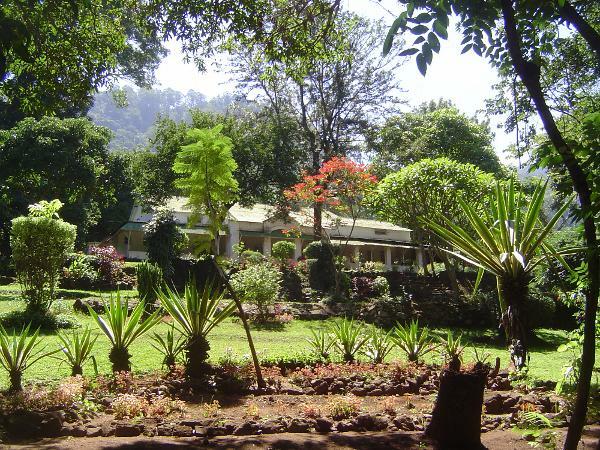 In a more serious vein, he had written that "of the many attractive spots which I have seen in Africa, Zomba is the loveliest of all." (Colin A. Baker, Johnston's Administration, p. 80). 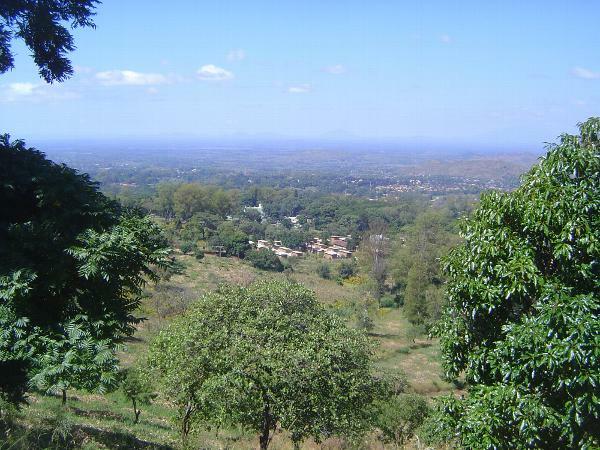 The view here looks east from the slope of the great Zomba Mountain against which the town was built. Baker traces the origin of the town this way: "Henry Henderson, who established the Scottish Mission at Blantyre in 1876, had thought of setting it up at Zomba, but decided not to, partly on the grounds that it was too near the slave route to be safe... [John] Buchanan had joined the Blantyre Mission in 1876 as an agriculturalist, but had been dismissed in 1880 and had set up on his own as coffee and sugar planter at Zomba... [Buchanan] acted as Consul, and it was during his period as Acting Consul that Johnston first visited Central Africa" (p. 19). Johnston was seduced by the scenery. 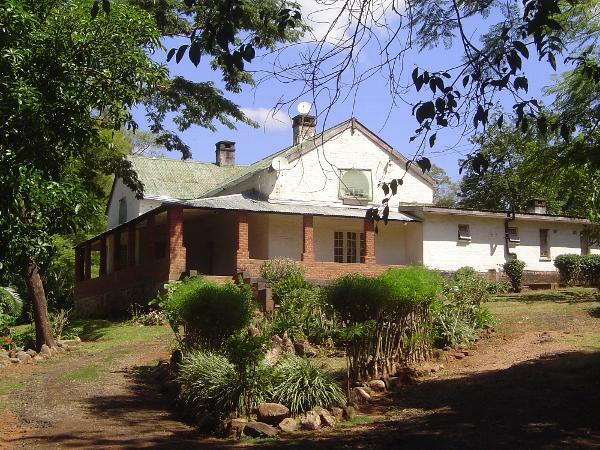 "Blantyre was pretty," he wrote, "but Zomba was superb." As for Zomba being close to the slave route that ran from the south end of Lake Nyasa to the coast, that was all to the good for Johnston and would make it easier for him to crush the trade. The only negative was that the people of Blantyre would be miffed and rightly worried that the growth of their city would be crippled if the capital were set up 40 miles east. That was fine with Buchanan, who didn't get along with the people at Blantyre, and Johnston didn't worry overmuch about it. He had little use for missionaries. 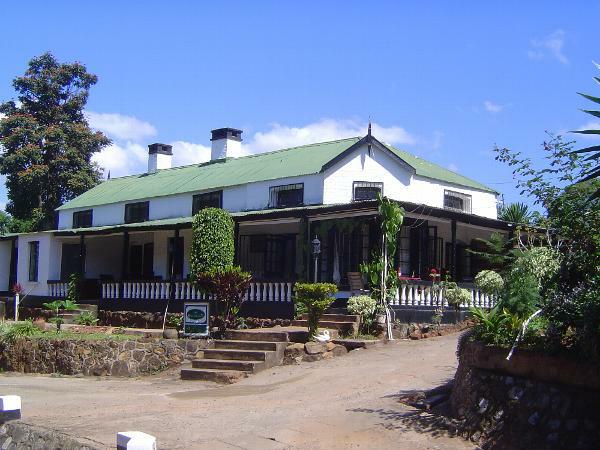 A residency for the British consul was built on a bit of the 100 acres acquired for a Consulate in 1885. The price, Baker writes, was "96 yards of blue calico, 48 yards of white calico, two red handkerchiefs, six Arab scarves, two Muscat scarves, one Japanned tin dispatch box, three looking-glasses, and three knives" (p. 78). Buchanan built the residency, shown here. The metal roof was Johnston's doing and replaced thatch. 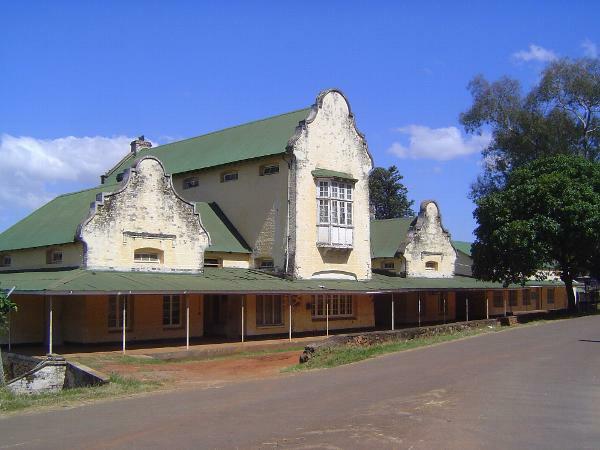 A chief secretary named Duff wrote in 1900 of this building that "architecturally, it is the only striking feature of Zomba, and is indeed a notable landmark, being two stories high (a rare thing in Central Africa), and made further conspicuous by the peaked turrets which flank its angles, as in some old chateau of Touraine" (Quoted in Karolin Stahl, "Some Notes on the Development of Zomba," in J. of the the Society of Malawi, 2010). Having built the place, John Buchanan lived here as consul; so did Johnston. 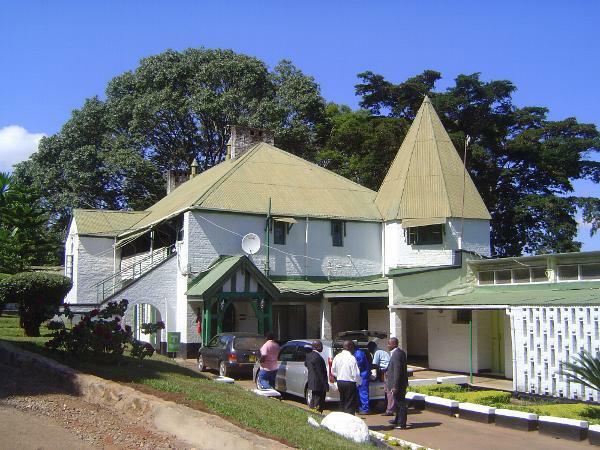 His successor, Alfred Sharpe, complained of the "Zomba chill" and built a much grander residency, off-limits today and hidden from snoops. 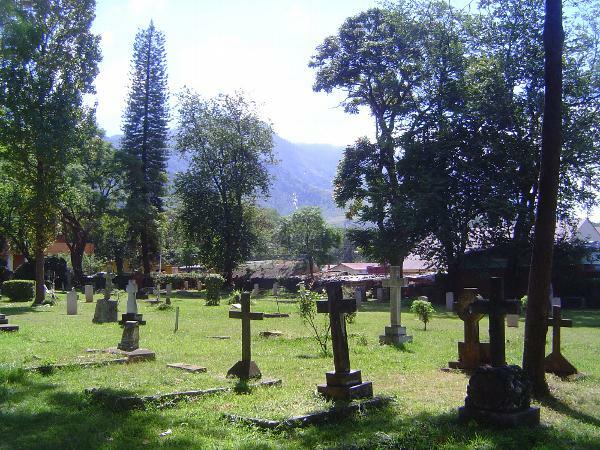 The Old Residency then became the residence of the chief secretary and, later, a government hostel. Today it is a hotel. The men are unloading live chickens in time for dinner. 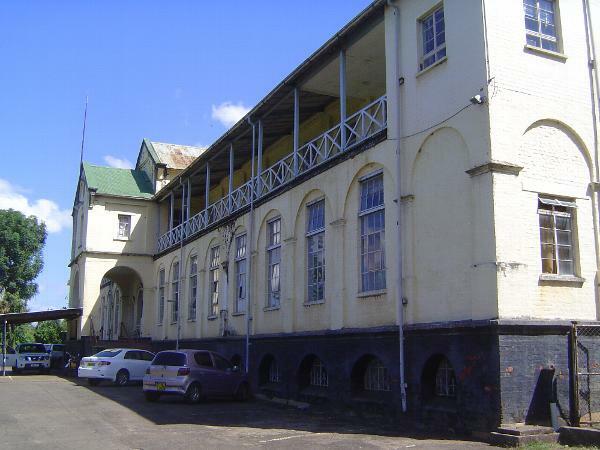 A single-story building was put up in 1897 for government offices. It burned in 1919 and was not replaced until the larger building shown here was erected in 1950. 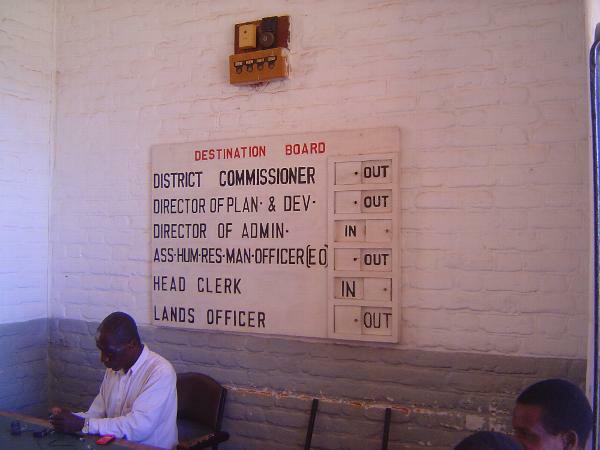 Hastings Banda had his office here until the new capital was opened at Lilongwe. The old post-office headquarters, more Boer than British. The head clerk is ALWAYS in. That's the curse of the position. 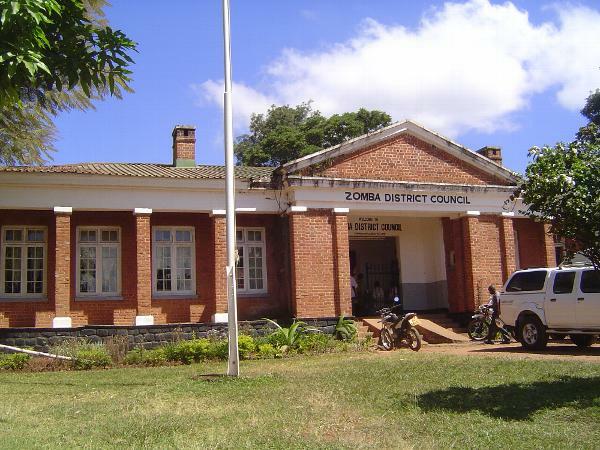 The Zomba Club. A newly arriving officer, obliged to eat at the official mess, recalled a meal. "The repast itself, I remember, did not appear to err on the side of prodigality. Its preparation consisted in the boiling of several fowls; the liquid contents of the cooking vessel being served as soup, the solid disintegrated residue constituting the remainder of the meal. This was followed by two tins of preserved fruit... small, hard biscuits... conveniently taking the place of bread. To aid and facilitate their rather difficult absorption, two large, odorous tins of Danish butter were placed on the table, and to these, in the absence of butter-knives, the company had recourse as best they could" (Maugham, Africa as I Have Known It, 1929, p. 88). The Club was established in 1896 as a gymkana but, as the gable suggests, was extended in 1923. 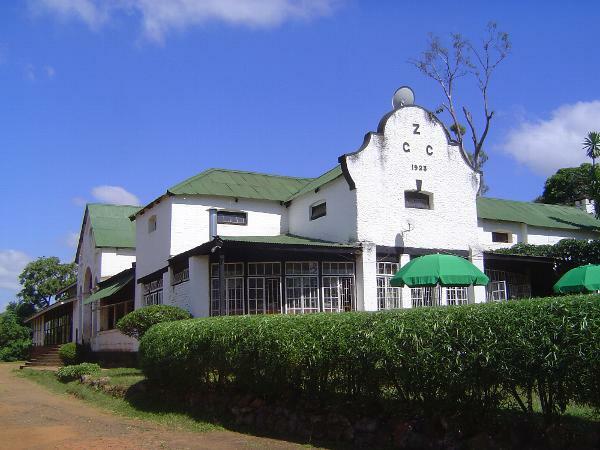 The golf course surrounding the club separated the European and African populations of Zomba. 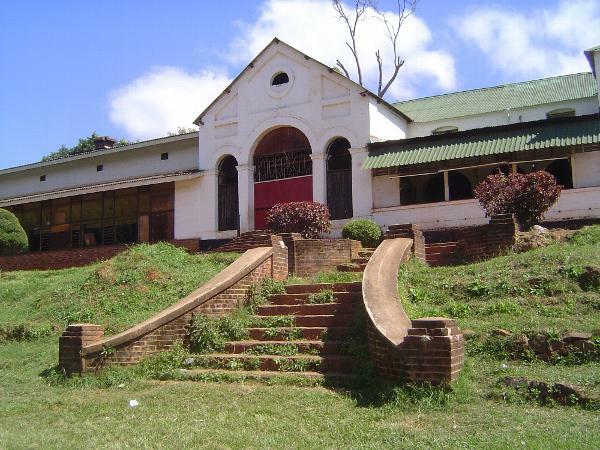 The club itself remained all-white until 1961, after Governor Glyn Jones (the last governor of Nyasaland) resigned in protest at the continued exclusion of blacks. 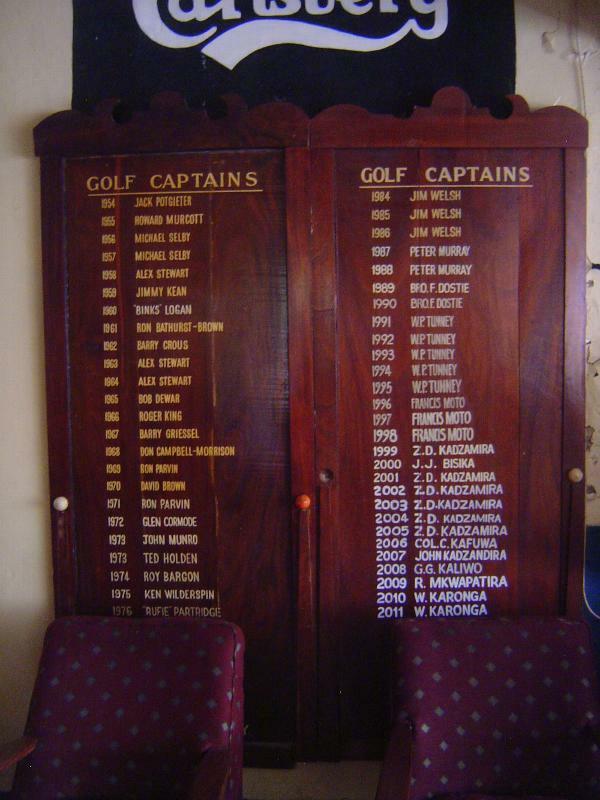 The first black captain apparently came another 30-odd years later. Bungalows ranged up the hill behind the Club. 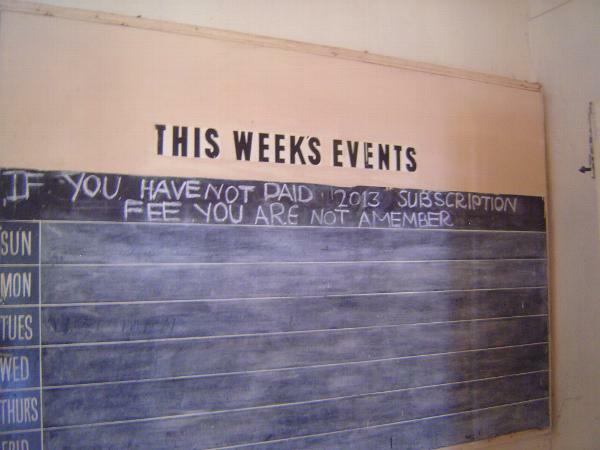 A visitor wrote, "The officials certainly live under ideal conditions. The climate is perfect. In the very hot season there is the plateau above to which to retire, it being quite easy to motor to and from the offices" (L.S. Norman, Nyasaland Without Prejudice, 1934 p. 45). A bungalow-like hotel, close to the government offices. Some of the British stayed for good. 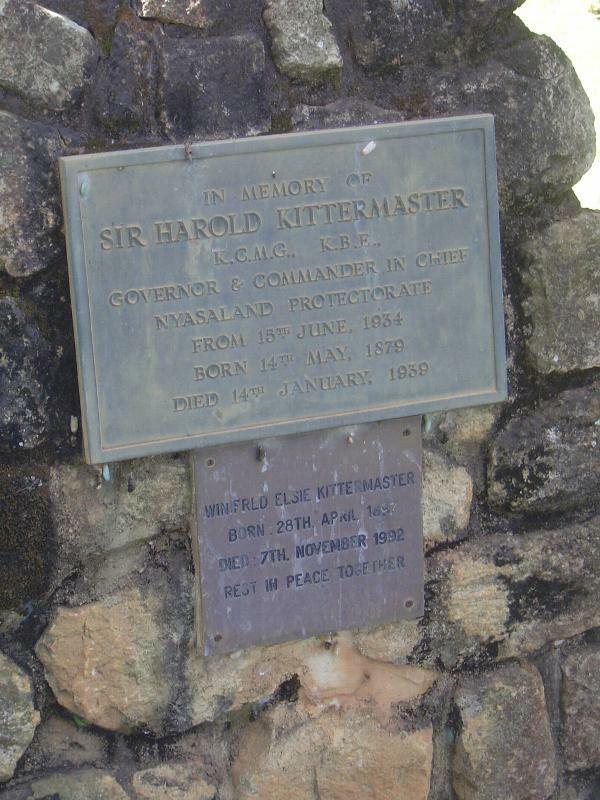 One governor, Harold Kittermaster, had worried about amoebic dysentery, which he said "was becoming so prevalent in the station that it could be said to be endemic" (Pachai, p. 46). As it happened, he died of appendicitis. His wife stayed on long, long after his death and until her own. 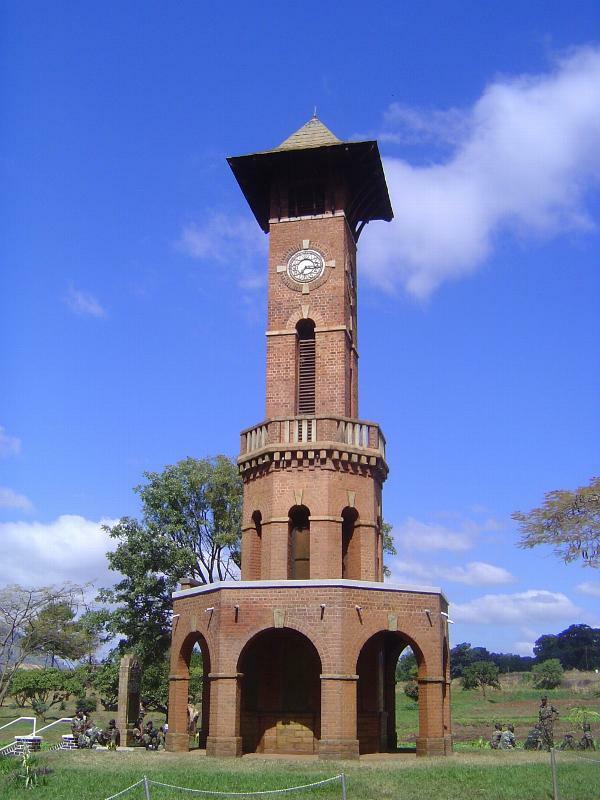 There are few other monuments in Zomba, but here's a striking one. The soldiers hint at its purpose. The King's African Rifles, a famous unit in World War I. Relic on the outskirts of town.